2. Which of the following statement is true regarding dormancy? 3. 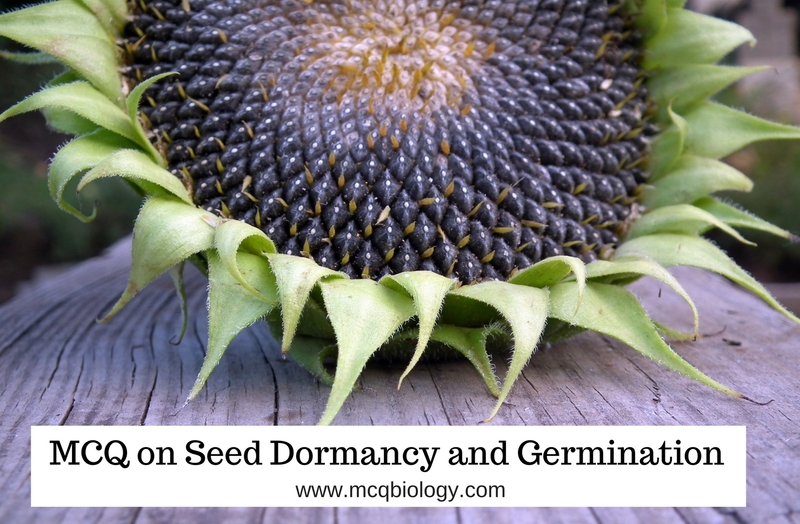 Which of the following is a natural germination inhibitor that induces dormancy? 5. Which of the following plant exhibit dormancy due to immature embryo? 8. Which is the pigment is involved in the germination of photoblastic seeds? 9. Which of the following hormone is a dormancy inducer? 10. Which of the following is the structure in the seed coat that prevents water and O2 entry into seed thereby inducing dormancy?